Review: Blaster Master Zero for Nintendo Switch // Mario's Hat - Gaming News from the North! It’s interesting that Blaster Master Zero has arrived on the scene with the same sort of abruptness as Double Dragon IV. Both Blaster Master and Double Dragon rose to prominence during the lifespan of the Nintendo Entertainment System, becoming veritable icons of that era of gaming, yet their stars would fade over the years for various and differing reasons between them. Now, despite some small resurgences in recent years, both are attempting another run at glory here in the year of 2017 by evoking what gaming was like in 1987*. Blaster Master Zero acts as something of a reboot for the series. Prior to researching the series more thoroughly last night before writing this review, I thought that the series had been rebooted before, but that’s not actually the case. There is actually a sense of continuity stretching from the NES original to its SEGA Genesis sequel, Game Boy offshoot, Game Boy Color midquel, and PlayStation sequel, which actually took the unique stance of adopting the continuity of Scholastic’s Worlds of Power adaptation into its official continuity. Then there was Blaster Master Overdrive on WiiWare in 2010, which actually (as near as I can make out from the limited information I could find) seems to serve as a prequel to the other games, despite being billed as a “reimagining.” This was the first game to bring back any of the creative team who worked on the original, and near as I can tell, what regard they gave to what came after is up in the air. It should also be noted that all of this operates independent of the Japanese version of those games that were actually released there under the title Chô Wakusei Senki Metafight (“Super Planetary War Records: Metafight”). There, the characters, story — effectively everything but the in-game graphics (barring cut scenes) and music were different, telling the more anime-styled story of an alien invasion force on another planet. Metafight wasn’t as well-taken by its audience as Blaster Master was in the west, and when the release of Blaster Master: Blasting Again came to the PlayStation in 2001, they opted to use the western version of the fiction instead. That brings us back to Blaster Master Zero, which was developed by Inti Creates, who you might recognize as the team of former Capcom creatives who would nonetheless go on to develop the Mega Man Zero, Mega Man ZX, and Azure Striker Gunvolt series, Mega Man 9 and Mega Man 10, and the two most recent Shantae titles. They also developed Mighty No. 9, but hey, pobody’s nerfect. Inti Creates has hit a hard reset on the series, shifting its setting from a hole in the back yard of a kid in the late 20th century to a post-post-apocalyptic Earth, wherein humanity has returned to the surface after spending years underground following some sort of disaster that drove them there to begin with. This brings us to the new version of Jason Frudnick, a young scientist who discovers a strange life form (which looks a lot like a frog) that he believes predates all of the aforementioned muckety muck. Named Fred, this creature escapes into the underground with Jason giving chase (because science) and discovering a versatile combat vehicle called SOPHIA III. Gearing up in the accompanying battle armor, Jason is ready to give chase. It’s a neat shift from the original Blaster Master story, offering a story and setting which is arguably a little easier to swallow than the tale of a boy’s pet frog who was mutated by a radioactive barrel in the backyard before hopping down a hole to get lost among an underground civilization of mutants. It’s a little different, and it does take away Jason’s “average kid” identity, but it’s still largely respectful to that original material by even paying heed to it at all. What makes it more interesting is that this new version of Jason looks very much like the Metafight protagonist, Kane Gardner. The developers even went so far as to pay further respect to the western fiction by making his blonde female companion (Dr. Jennifer Cornet, designer of SOPHIA/Metal Attacker, I believe) the new version of Eve, a character who originated in the aforementioned Worlds of Power adaptation and was carried over into further material. Honestly, it all makes me curious to know what the Japanese version of the game’s story is like, and whether it’s the same fusion of eastern and western elements, or if theirs skews more towards the Metafight line. 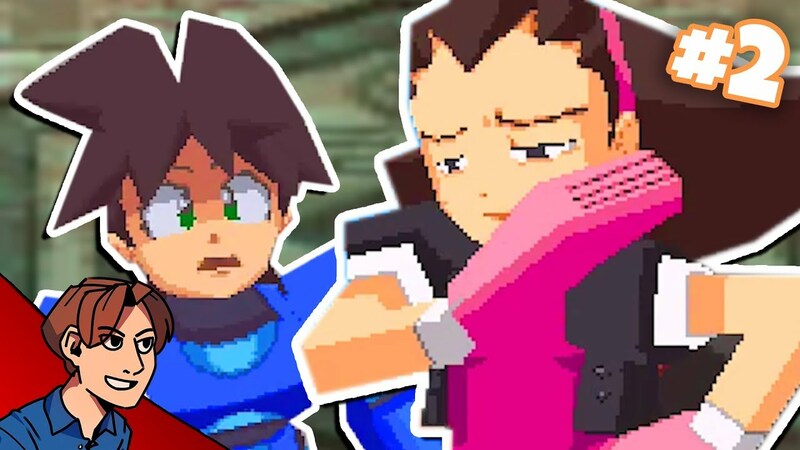 Now that I’ve spent an absurd amount of time talking about the story in an action-platforming title (though to be fair, there is more dialogue and character interaction here than in the original game), it’s time to talk about the meat of the game. For those who aren’t familiar with the original on which this is based, Blaster Master is favorably described as a “Metroidvania” game, playing much like earlier entries in the first half of that portmanteau and many of the latter entries of the second half. To put it another way, rather than moving towards a singular goal per level, you’re allowed to freely roam an expanse of the world map, seeking out items that will enhance your capabilities so that you can explore further beyond once-impassible obstacles. It’s a formula we’ve seen a good few times over the years, and increasingly so with the rise of the indie scene, which kind of makes it a good fit as it’s brought back in a download-only title from an indie developer. However, it’s the way that the formula is applied that makes Blaster Master (and by extension, Blaster Master Zero) stand out. Rather than just running around on foot like Samus Aran or so many Belmonts (and the company they keep), your primary means of traversal is through the exploratory combat vehicle SOPHIA III. Initially armed with a forward-facing cannon and a tri-missile attack, your goal is to hunt down chips that can further expand SOPHIA’s capabilities. Wall-penetrating lasers, homing missiles, and even flight are just a few of the abilities you’ll gain as you trick out one of classic gaming’s most awesome rides. SOPHIA controls well with tight precision, and a subtle new capability is added by way of a fixed diagonal aim. Much like what was introduced to Samus in Super Metroid, holding the right shoulder button will move the cannon into a diagonal position, allowing you to more easily hit foes who are out of range of your pure vertical and horizontal shots. It’s a small change, but yields big effects. On occasion, you’ll need to exit SOPHIA. On the main map, this leaves you vulnerable as your Blaster Rifle is pathetic next to SOPHIA’s arsenal, and despite surviving the drop into the cave at the outset, Jason’s armor doesn’t allow a lot of leeway for falling from significant heights. Fortunately, the times you’ll have to actually explore in this manner are relatively few. The main reason you’ll be leaving the comfort of your OP SUV is to enter doorways too small for SOPHIA to fit through. These lead to top-down stages are most easily described as playing something like the top-down entries in The Legend of Zelda, but with guns and grenades in place of swords and boomerangs. While it may not sound like much, it was enough for publisher Sunsoft to build a chunk of their business around back in the day with the likes of Fester’s Quest and Gremlins II: The New Batch. Some of these segments exist only to allow you to get small power-ups, others things like maps and life extensions. The main ones, however, end with a boss battle. These were a big part of the NES title, featuring pixel art that was both large and detailed for its day. Blaster Master Zero reinterprets a number of these, adding a bit more variety to the proceedings in small but faithful ways, such as the direction from which they approach or the reach of their attacks. Along the way, the pathetic peashooter of the overworld maps becomes a real WMB: A Weapon of Master Blasting. By acquiring power-ups, you can increase the power of your Blaster Rifle to include penetrating shots, reflective shields, flamethrowers which do burning damage over a period of time, and more. But just like in the original, getting hit will cause you to lose a point of your rifle’s power meter, reducing the number of attacks available for you to cycle through. It can be a small problem if you’re acting around the nuances of one weapon, as you’ll have to adjust on the fly after taking damage — that is, unless you use a weapon lower on the scale, in which case you’ll be able to continue unimpeded until such time as that level of the meter takes a hit. Like the SOPHIA sections, a small but impactful tweak has been made to these sections by not only allowing you to fire in eight directions rather than just four, but to hold the R button to strafe as well. This gives you a significant leg up against foes you face, many of which are restricted to the four cardinal directions. One thing worth noting about the Nintendo Switch version (which is the version I reviewed, in case the title of the review wasn’t clear) is that it contains some exclusive features. One of those is use of the system’s new HD rumble, which is interesting to feel, especially if you play as I do in “relaxed mode” with one Joy-Con in each hand, allowing you a greater sense of something happening on your left or right. It doesn’t get a lot of play in that fashion, but it is kind of neat nonetheless. The main thing which will no doubt grab peoples’ attention is the inclusion of multiplayer. Rather than two characters or anything, though, this takes more of a cue from the “second player” assist mode from the Super Mario Galaxy games, with each player taking one Joy-Con. Player 1 controls SOPHIA III and Jason, while Player 2 controls a targeting reticule that allows them to shoot out-of-the-way enemies and fill up meters which allow them to drop support power-up items for Player 1 to grab. Finally, it’s worth noting that as of this writing, the game has no support for the Switch Pro Controller. That’s scheduled to be added to the game via patch next week, but to be honest, I was pleasantly surprised to find that the directional buttons on the left Joy-Con to be quite sufficient. I’m not so sure about using the analog stick, however, as that didn’t work so well for me when I tried multiplayer. To that end, here’s hoping that multiplayer can use the Pro Controller as well! So here’s the main rub of this review: My experience with the Blaster Master series is pretty limited. In truth, all I’ve played are the NES original and the Game Boy Color entry, Blaster Master: Enemy Below, which is described by some as the rough equivalent of The Legend of Zelda‘s Second Quest to the original. And I never got very far in the original, because it was pretty hard! Part of that is owed to the fact that you had limited lives, limited continues, and not even the ability to save your game — it’s one sitting or nothing. That’s not a factor here, as save points are relatively abundant, and lives are unlimited. In any case, it never quite got to grow on me as much as I would have liked it to as a result. But Blaster Master Zero? I’ll be honest, I’ve been hooked since I got it. I’ve had to put The Legend of Zelda: Breath of the Wild aside in order to work on this review, and as much as I’m champing at the bit to get back to that, I don’t regret it one bit, either. It feels close to the original in many (if not all) of the right ways, from the graphics and music that are similar to the original yet feel slightly enhanced to the modernized character designs, but is overall more accessible and fun to get into. Admittedly, it’s that last part that’s kind of curious. Inti Creates is probably better known for its games that will test any player’s mettle than those with a more generous challenge level, and while Blaster Master Zero is certainly easier to get into (perhaps easily likened to how Super Metroid feels versus Metroid for the NES), there may be some purists who love the original but feel this one is too easy. You won’t hear me complaining about it, because I’ve been having a blast as I blast through the different levels and bosses. Heck, the overhead portions? In the original game, I always felt like those got in the way of the fun of driving SOPHIA III around; a necessary evil needed to progress in the “fun” part. But here, I love the top-down sections, and look forward to each new one I come across. In the end, I’ll freely admit that my experience with the Blaster Master series hasn’t always been as great as I would have liked. It was that sense of trepidation (combined with limited funds at the time) which kept me from trying out Blaster Master: Overdrive on WiiWare, and I would probably have passed over this one as well had it not been for one deciding factor: Seeing Inti Creates’ name on the announcement. From a guy who runs a site called The Mega Man Network, I realize that may sound like a bit of bias, and maybe it is. Regardless, I know that they can put out great action-platforming games, and I couldn’t resist seeing what they would do with a series that I’ve always been more content to appreciate from afar. As I sit here typing this with music from the game running through my head, I’m glad I checked this one out. That would be the main takeaway here. I think if you’re a fan of the original Blaster Master, you’ll enjoy this, but perhaps even more importantly, I think those who might have brushed it off for whatever reason (or who just like Metroidvanias in general) should definitely give Blaster Master Zero a look. With any luck, if it does well enough, maybe we’ll even see a sequel someday. Blaster Master Zero was released for the Nintendo 3DS and Nintendo Switch on Thursday, March 9th, 2017 at a price of $12.49. A review code was provided by Inti Creates.